From 1 October 2008 landlords have been required to provide an Energy Performance Certificate (EPC) when they rent out a home. An Energy Performance Certificate gives information on the energy efficiency of a property you want to let. You need to provide an EPC whenever a home in the social or private rented sector is let to a new tenant. An EPC is only required for a property which is self-contained. It is not required when a tenant rents a room and shares facilities, where a tenant has a separate contract with the landlord. You must make the EPC available free of charge to prospective tenants at the earliest opportunity. This should be when they are first given written information about the property or view it, and before any rental contract is entered into. EPCs are valid for 10 years and can be reused as many times as required within that period. It is not necessary to commission a new EPC each time there is a change of tenant although landlords may commission EPCs for these properties at any time to prepare for a change in tenant. a property is that they are considering renting. The energy efficiency rating (this is based on how much the home would cost to run). Standard assumptions about a property which include the number of occupants and how long it is heated a day. The actual running costs will vary depending on the current fuel costs and the lifestyle of the tenants. A recommendation report forms part of the certificate. This provides a range of improvement measures which could improve the energy performance of the home. EPCs must be produced by an accredited Energy Assessor. As a landlord you are free to seek accreditation for yourself and your employees and so become competent to certify your own properties. If you use an independent energy assessor make sure they are a current member of an accreditation scheme, as this ensures your energy assessor is operating to professional standards. 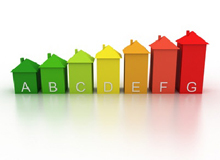 An EPC is only authentic if issued by an accredited Domestic Energy Assessor (DEA). Details of accredited DEA’s can be found at www.epcregister.com. Each EPC has a unique number which will be entered on to a national register by the Energy Assessor. Once the EPC has been created, you can download further copies in the future by using the report reference number on the top right hand side of the certificate. If you have recently bought a property and are considering letting it, you should have received an EPC which can be given to prospective tenants. Once you have requested an EPC from an accredited energy assessor, the assessor will contact you to arrange a convenient time to visit your property. During the assessment the assessor will need to inspect your property and collect information. This will include external or internal measurements, details about the construction, and the type of heating/hot water used in your property. The assessor will need to access all the rooms, the boiler and the loft. The assessor may need to take photographs of items such as heaters and meters. The assessment of a 3 bed property normally takes up to 60 minutes; larger or complex properties can take longer. The type of heating fuel you use and the types of heating you use for your rooms. After the visit, the assessor will feed the information gathered during the assessment into an authorised software programme which will produce your EPC and recommendation report. Information collected about your property is protected from disclosure without your permission other than for strictly limited purposes. Each improvement in the recommendation report is accompanied by the typical cost savings per year as well as what the performance rating could be after improvements are made. What sort of recommendations will be made and what do they mean? The recommendation report includes cost-effective recommendations split into low cost improvements (up to £500) and high cost improvements (over £500). It also includes more advanced energy improvements that could be applied to a home to achieve the highest possible energy efficiency standards. Many of these will be more costly and have a much longer payback period. The recommendations are for you (and your prospective tenant). There is no legal requirement to act on any of the recommendations. However, taking action on the recommendations is likely to improve the energy efficiency of your property and make it more attractive to prospective tenants. Financial assistance may be available to help with the cost of works (see financial assistance for improvement works). I already have a lot of data about my properties, can this be used? If you hold extensive and up-to-date data about the energy efficiency performance of your properties, it may be possible for the assessor to use this data. Please see the detailed guidance for landlords available at www.communities.gov.uk/epbd for more details. I have a number of similar properties, do all of them need to be visited to produce an EPC? If you have a number of properties that are similar, it may be possible to produce EPCs for them all by assessing a sample. Please see the sampling methodology at www.communities.gov.uk/epbd for more details and to see whether this would apply to your situation. The accreditation scheme is required to operate a free complaints service. What happens if I am dissatisfied with the energy assessment or EPC? If you are concerned about any aspect of the energy assessment or the quality or accuracy of the EPC you should initially contact the Energy Assessor. If you are still concerned you should contact the accreditation body of your Energy Assessor. You can find contact details of the Energy Assessor and their accreditation scheme on your EPC. To locate an Accredited Energy Assessor in your area: www.epcregister.com. What are the penalties if I do not provide an EPC? The provision of EPCs is enforced by the Trading Standards department of the local authority. If they receive a complaint that an EPC has not been provided they can impose a penalty charge on you of £200 for each breach. The Landlords Energy Saving Allowance (LESA) allows private landlords who pay income tax to offset up to £1,500 spending on certain energy efficiency measures per dwelling (not per building) per year. The qualifying measures are loft, cavity, floor or solid wall insulation, draught proofing and hot water system insulation. More information on the LESA can be found at http://www.hmrc.gov.uk/budget2007/bn63.htm or by contacting the relevant local authority or local HMRC enquiry centre. Warm Front is the Government’s main scheme to help people who can’t afford to pay fuel bills, and is open to most households in England who are claiming certain benefits. Grants of up to £2,700 are available (or £4,000 for dwellings with oil fired heating systems). As a landlord you do not need to be eligible personally: if your tenant qualifies then the property is eligible and the tenant needs to apply. Warm Front is not available for tenants of Housing Associations or local authority tenants. More information is available from http://www.warmfront.co.uk. The Home Energy Efficiency Scheme operating in Wales has a similar function to Warm Front, with grants of up to £3,600 offered. More information is available at http://www.heeswales.co.uk. The lettings industry is completely unregulated, which means anybody can call themselves a letting agent! This leaves landlords and tenants at risk from poor advice, sharp practice and serious financial losses. For your peace of mind we are fully qualified Chartered Surveyors and are regulated by RICS (Royal Institution of Chartered Surveyors). 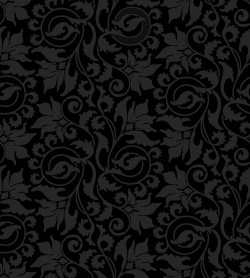 We can provide you with clear, impartial and expert advice. We are are tightly regulated and follow strict rules of conduct. We have insurance in place to protect you. We have to update our skills and knowledge throughout our careers, so that you can rely on our expertise. You are protected by a written complaints procedure, in the unlikely event that anything should go wrong.